There are generally several communities involved with an issue, and all of them can be considered stakeholders. Stakeholders are people, groups, organisations, or institutions that are connected to your issue. 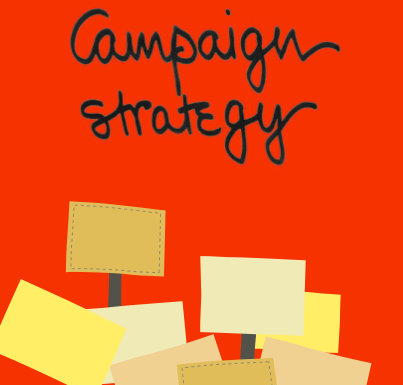 They may support your campaign, be adversely affected by the issue in question, have the power to change the situation, or even be responsible for the problem you have identified. It is important to list all of your stakeholders. You need to know everyone who has the power to influence your cause and help make a change. Allies – people and organisations who already support what you do. Geography– local, national, international, remote, urban, rural. Attitudes– how do they perceive the issue, how proactive are they? What would it take to get them to take action? Culture– what is their cultural background, what languages do they speak or read? You should map your stakeholders using these three categories, and discuss why you see them in this way. Knowing all the stakeholders will help you define your target audience and participant communities. 'Target audiences' means the groups of people who can actually make the change that you want to see. 'Participant communities' refers to the people you'd like to see becoming a part of your media campaign or project: these are the people, organisations and groups who will watch your media, help distribute it and provide different forms of support. Some of them will be active participants, and some passive. It's important to define your target audience and participant communities because, very often, a media campaign that has been designed for everyone ends up being for no one in particular. Successful films, television programmes, newspapers or posters are never made for 'everyone'. On the other hand, a well-made media campaign that targets a specific audience can very easily end up being liked by many different groups of people. Using the list of stakeholders you have created, identify a target audience (or audiences) for your media campaign. Also define the groups of people who will become your participant communities. Identifying these two groups will help your campaign be more effective. For example: if a media campaign is seeking to ensure that ethical practices are adopted by mining industries, the mining industry and the government are likely to be the target audiences. These are the people who have the power to make the changes you want to see. Communities affected by mining, as well as national or international environmental advocates, will likely be the participant communities. These are the people who will become involved by consuming and distributing your media, and by taking action to support your cause. The target audiences and the participant communities may overlap; for example, a media campaign which asks for behavioural change in men who commit, condone or ignore domestic violence might identify these men as both the target audience and the participant community. For help in doing this, see Mapping Stakeholders and their Relationships over at Tactical Tech's '10 tactics for turning information into action'. Tactical Mapping, by New Tactics in Human Rights, is also a useful resource. Next, analyse how your stakeholders may help achieve the change/s you seek and how much power or influence they have to do so. See The Change Agency's Power Mapping exercise for more tips on how to do this. Once that's done, you can go to the most important step: considering what tactics will best address your target and participant groups. Using sticky papers, name and place each target and stakeholder in a wedge according to their level of support for your cause. The result is a spectrum of stakeholders. Use this diagram to help decide which tactics to use, where. Different tactics may be needed for different stakeholders, depending where they are on the spectrum. Source material created by Namita Singh and A. Ravi in collaboration with Tactical Tech.